Thermo-active spray for texture and hold for voluminous and wavy hairstyles. Thermo-active for protection, volume and texture. The spray amplifies volume whilst allowing flexible fixing. Don’t be afraid of overloading your hair – you can spray an abundance without weighing your hair down. This is the absolute no-residue formula for all hair types, leaving even wavy hairstyles and voluminous hair with a surprising lightness. 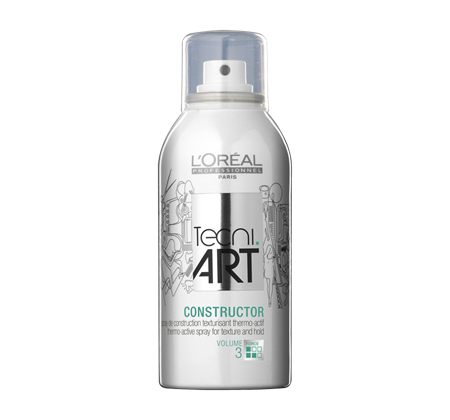 Click here to find out more about TECNIART Constructor on the Official L’Oreal Professionnel Website. The 1st professional invisible dry shampoo that will revive your hairstyle and release a delicious perfume scent for up to 96 hours. It’s backstage-proof formula ensures long-lasting freshness, with no residue, and its formula with 0% alcohol protects from irritation. Spray 15-30 cm away from the roots and shake fingers through hair. 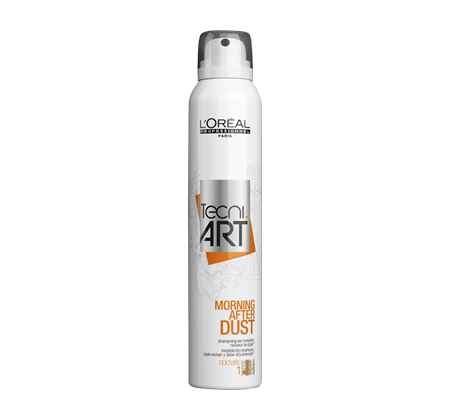 Click here to find out more about TECNIART Morning After Dust on the Official L’Oreal Professionnel Website. Bestseller smooth control gel-cream. Ideal for smoothing and controlling unruly hair, frizzy hair, wavy hair or rebellious hair. 24hr anti-humidity protection with UV filter. For smooth results, blow-dry the hair. To control curls, allow to dry naturally. Apply 1 to 2 hazelnut-size drops onto washed and towel-dried hair. Spread evenly with a comb on to lengths and ends. Reapply if necessary depending on length and thickness of hair. 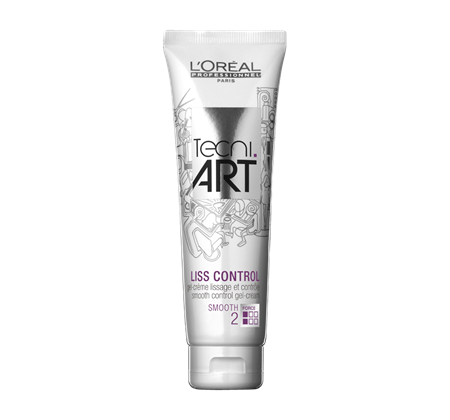 Click here to find out more about TECNIART Liss Control on the Official L’Oreal Professionnel Website. Strong hold volume mousse, including UV filters. How to give you hair maximum volume? Shake can well, and while holding it upside-down distribute a mandarin-sized amount to towel-dried hair to give hair volume. Comb or divide hair with fingers. Blow-dry or style hair with fingers for well-defined wavy hairstyles. Click here to find out more about TECNIART Full Volume on the Official L’Oreal Professionnel Website. Thermo-modelling spray. Adds shape-memory, grip and hold. Instant root-lift or oversized blow-dry for volume based hairstyles, bouncy curls and wavy hairstyles. How to give your hair volume? Spray liberally onto towel-dried hair, lifting the roots as you blow-dry or using rollers for more lift and to give hair volume. Use a heat-styling tool for even more creative looks. Click here to find out more about TECNIART Pli on the Official L’Oreal Professionnel Website. Thickening blow-dry lotion to add volume to fine hair. Creates volume and natural-looking movement, whilst leaving hair soft to the touch. Hair is protected from the heat protection. No visible residue as the Volume Architect disappears after brushing, allowing styles to be worked and reworked. Spray onto towel-dried hair 35 cm from the hair. For greater volume, spray directly into the root area. 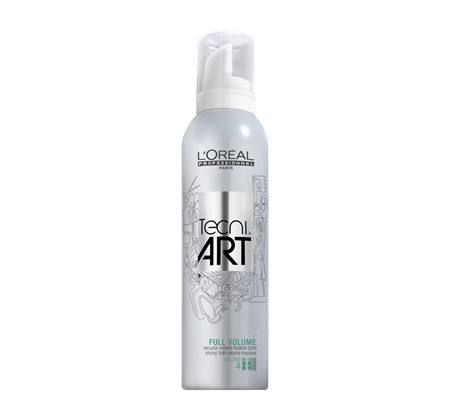 Click here to find out more about TECNIART Volume Architect on the Official L’Oreal Professionnel Website. Bring extra volume to your hairstyles along with very strong hold. Hair is protected thanks to UV filters. How to give your hair volume? Apply to shampooed and towel-dried hair. Shake the can well, hold upside down and spray a mandarin-size amount of mousse onto the palm of the hand. Spread through hair with comb or fingers to give hair volume. 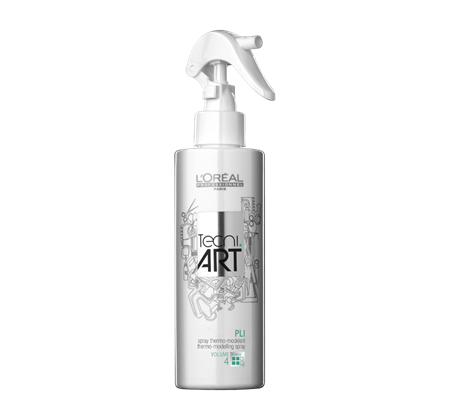 Click here to find out more about TECNIART Full Volume Extra on the Official L’Oreal Professionnel Website. 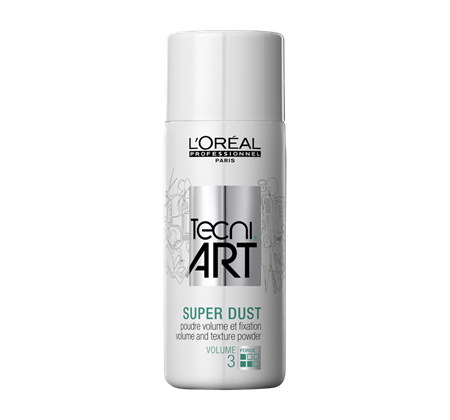 Click here to find out more about TECNIART Super Dust on the Official L’Oreal Professionnel Website. Root lift spray-mousse. Root lift and natural control throughout for the latest hairstyles high in volume. Lengths and ends are left supple and light. Maximize volume by applying to shampooed and towel-dried hair. Shake the can well, hold it upright and spray on to the root area of each section from a distance of a few centimeters, to boost your hair with volume. Blow-dry or style with fingers. 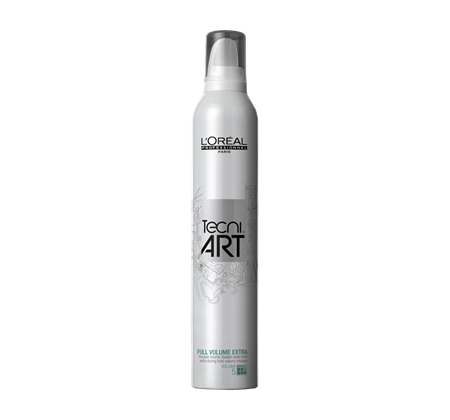 Click here to find out more about TECNIART Volume Lift on the Official L’Oreal Professionnel Website. Play with your hair and dare to be adventurous! 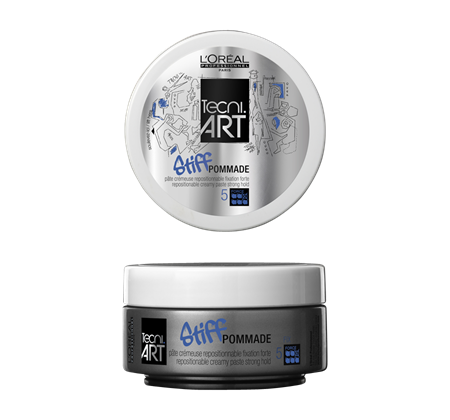 Work-up sculpted hairstyles with great versatility and a matt finish thanks to the Stiff Pommade creamy paste. Rub a small amount between hands and apply throughout dry hair to create shape and give an all-over hold. 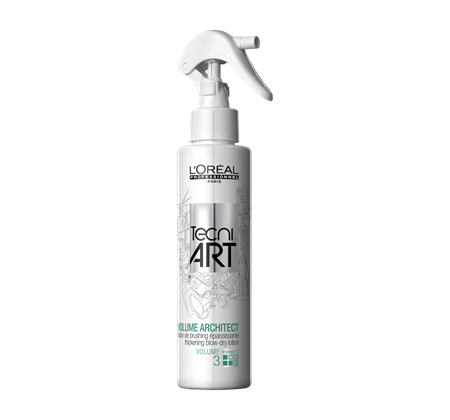 Click here to find out more about TECNIART Stiff Pommade on the Official L’Oreal Professionnel Website. Extra-strong hairspray with a long-lasting hold. The Ionic Neutralizing System provides anti-static protection and 24hr anti-frizz action. Apply to dried or slightly wet hair. For added volume, spray directly on to the roots. To prevent static on towel-dried hair, spray air fix into hands then gently wipe over flyaway hair. 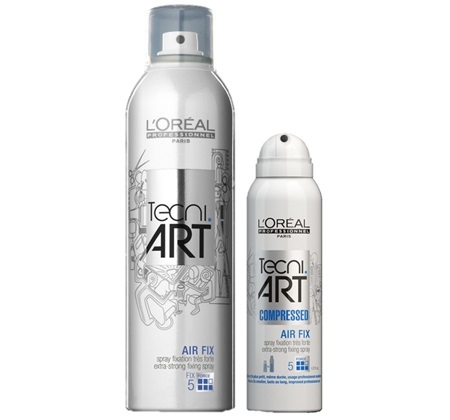 Click here to find out more about TECNIART Air Fix on the Official L’Oreal Professionnel Website. This light hair gel provides hold and control without stickiness, allowing for natural weightless movement. Enabling you to play around to sculpt and texturize your hair. For a flexible hold with a boosted shine, apply onto halfway dried hair. 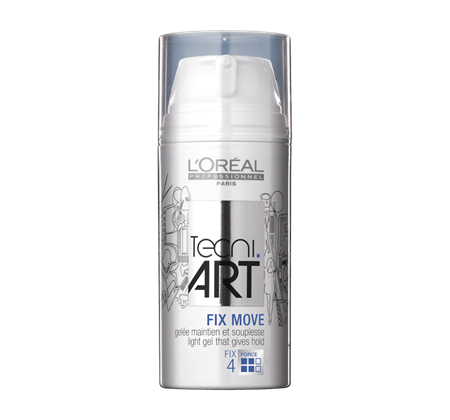 Click here to find out more about TECNIART Fix Move on the Official L’Oreal Professionnel Website. Shaping hair gel for extra hold. Apply with hands for overall hold, or use fingers to define individual strands. 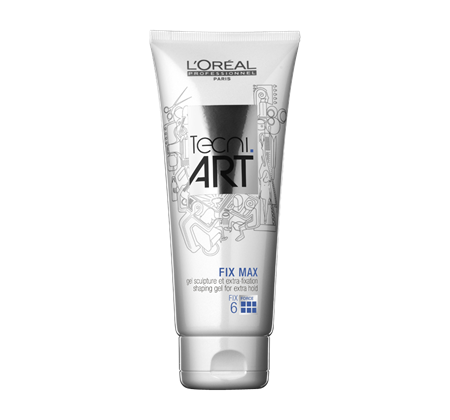 Click here to find out more about TECNIART Fix Max on the Official L’Oreal Professionnel Website. Strong-hold anti-frizz fixing hairspray. An anti-humidity, anti-frizz protection spray which acts like a real anti-static barrier for unique and long-lasting anti-frizz protection, even in extreme climatic conditions. Long-lasting strong hold and no residue. 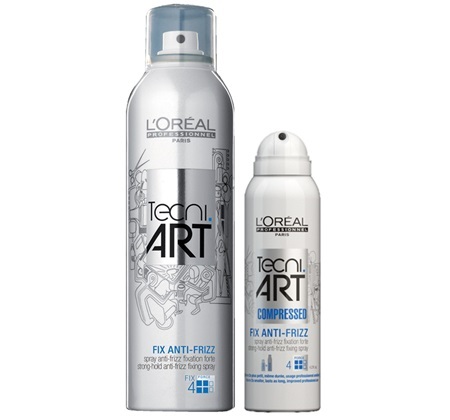 Click here to find out more about TECNIART Fix Anti Frizz on the Official L’Oreal Professionnel Website. Directional fixing spray with a strong hold without any visible residue and a natural shiny finish. The UV filter protects hair from the sun, while your long or short hairstyle is kept in place. Spray 15cm away from hair, or more for a dryer result. 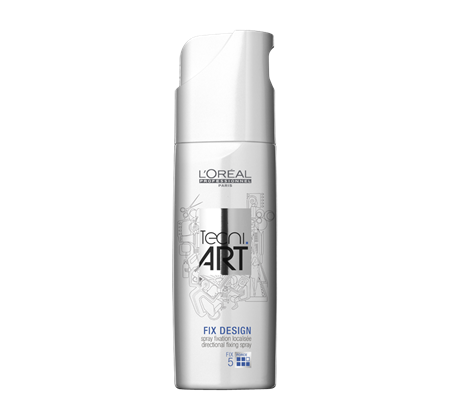 Click here to find out more about TECNIART Fix Design on the Official L’Oreal Professionnel Website.